Even now, sitting in the living room of his home in Boston, Massachusetts, Michael Hillman can still recall the excitement he felt racing model trains. HOULTON, Maine — Even now, sitting in the living room of his home in Boston, Massachusetts, Michael Hillman can still recall the excitement he felt racing model trains. It was the favorite hobby of Hillman, who lived in Houlton briefly in the 1960’s when his father was stationed at Loring Air Force Base in Limestone. 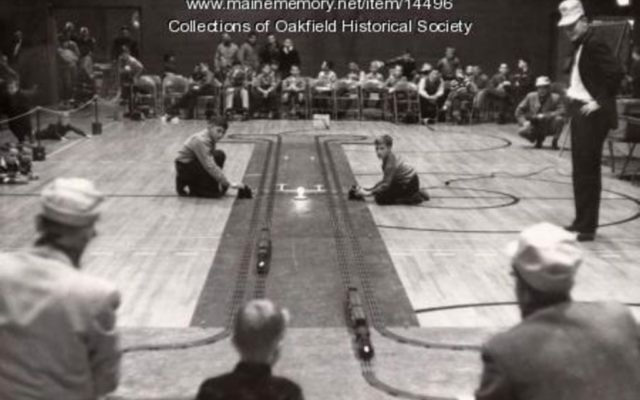 According to the Maine Memory Network, model train racing was a popular hobby at the time. Youth gathered at the Houlton Recreation Center for races that were sponsored by the Bangor and Aroostook Railroad and the Houlton Pioneer Times. Hillman said that he was a member of a model railroad train racing club when he was young, but he couldn’t recall the state that corresponded with the membership. Hillman said that most youth purchased the trains from hobby centers. He said that the premise of train racing was simple. Train tracks would be set up at a location such as the recreation center, he said, and two youths would pit their trains against each other. As more youths were eliminated, the two fastest train owners would then race against each other for the title. He said that he never won any racing titles, but recalled the fun of the experience. There are still model railroad clubs set up in the state, such as the Eastern Maine Model Railroad Club in Orland.